"This program is proven and player development is highly overlooked in basketball today." The IMPACT Online Training includes the strategies and techniques Joe Abunussar uses with the stars and coaches of the NBA, NCAA and International basketball leagues that hire him on a regular basis. Fact is, Joe is on top of their speed dial list. But, he didn't build this program for them. 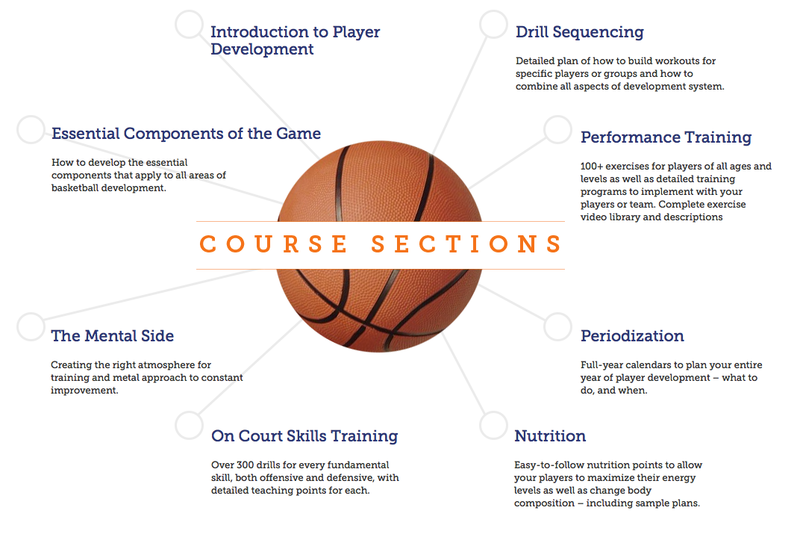 Joe created this curriculum for YOU - a Coach or Player at any level looking to get the most out of your training and development system - both on the court and in the weight room. This year-round curriculum packages up the elite knowledge, experience and wisdom Joe and his Impact Basketball staff have accumulated working with the greatest players in the world and delivers it right to your desktop, tablet and phone for your immediate improvement. You don't need the best weight room or the high-tech gadgets to get the results. You have everything you need right now to be great - you just need to put in the TIME, do it the RIGHT WAY and enjoy the GRIND! NEW! IMPACT's Shooting PLUS Course is out. Click here for info. Watch the 15 minute Introduction from the Certification Course and to hear's Joe's background and mission. BEFORE IMPACT - When Joe was on Coach Bob Knight's Indiana staff, he learned first-hand the value of skill development. The Hoosiers played an entire season without a called, set plays and they won more games over a four-year span than any other team in Big Ten history, including a trip to the 1992 Final Four. The secret was a commitment by each player and the staff to developing skills through the fundamentals and being in elite shape, focusing on strength and speed. TURNING POINT - In the summer of 1997 Joe almost moved into college coaching circuit. Unexpectedly, he had the chance to train Chauncey Billups and Kevin Garnett, two future Hall of Famers. Based on Joe's unique training style, Chauncey and Kevin showed significant improvements in a short period of time. From there, Joe was inspired to launch his unique style of coaching and training and give up the X's and O's. As A Sidenote: In the early days, Joe's unique kind of basketball training was unknown as a profession. 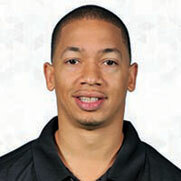 Joe was employed by multiple NBA teams, including both the Indiana Pacers and Toronto Raptors during the same season. Today, an NBA team is likely to have 3-6 development coaches and Trainers on their staff, even sending them to live in the same city as their players during the off-season. Joe was and still is the pioneer of this science known as basketball player development. TODAY - Joe and his Impact team often train over half the NBA Lottery picks immediately after the NCAA season concludes each year. Many current NBA stars spend their off-seasons training at Impact's Las Vegas super facility every summer. Many of these stars rely on Joe and Impact throughout their entire season to keep them sharp and playing at an elite level. Joe and his crew also train thousands of young basketball players at the Impact's year-round Academy in Sarasota, Florida as well as Summer Camps in their three world-class facilities. They host clinics for the AAU Basketball organization as well as supports many other leading basketball companies and groups. Every year, dozens of foreign professional and national teams come to Impact to learn and prepare for some of the biggest basketball events around the world. Simply put... every day hundreds of dedicated basketball players improve their skills and capabilities with live training through Impact. They are taking in the same education you are now able to view online to improve your program. OR You can buy just the parts of the Course you need most. You'll learn from the pro's Pro how to improve your body, mind and skills so that your minutes increase and you are prepared for the next season. You'll train in the same way as many of the top players in the NBA and that Impact develops younger players year-round at its Academy and Camps. You'll get insight into how to teach younger players these advanced techniques like no other resource can. You'll learn to "love the grind", which the best players will tell you, "Loving to Train is the big key in becoming the best player you can be." You'll get the blueprint for top performance and be shown how to enjoy training and keep it fun and really moving. You'll learn how to translate your time in the weight room working on strength and balance exercises into better basketball performance ON THE FLOOR. You will be able to changes speeds. be more explosive, and get quicker and stronger in ways that get results on the court. You can run a safe, skill-based, year-round program that develops all of the individuals on your team so that you can run any offensive or defensive scheme you desire and WIN! You want players to leave your program better prepared for the next level and making you proud. You'll have access to all of the drills and training techniques that Impact uses at its top-rated Academy, Draft prep sessions, as well as youth and NBA Summer Camps to develop players. By learning yourself, then coming to practice with a plan, your team will make significant strides in their game capabilities. You'll be able to prescribe the specific drills that each player needs from our 350+ video catalog and be amazed by what hyper-focused training can do as compared to playing games or shooting around with their pals. With the Certification Curriculum, you'll have the same credentials as NBA, NCAA and International coaches and be able to run better, more profitable and attended camps and clinics. You'll be confident knowing that your team and its families are getting the very best instruction you can provide from the same expert that the leading Elite Coaching Clinics feature year after year. You will save money as you'll get Impact's elite training curriculum for a fraction of the cost of sending your child to Impact's Summer Camp or Academy programs. You can now provide your son and daughter with the best basketball training curriculum in the world and watch them improve. You'll be able to take control of your children's training in the off season and know they are doing the right things in a safe and basketball- focused manner. Your son and daughter can become "system proof" through the elimination of weaknesses. Put them in a position where the Coach cannot afford to NOT play them as their skills and conditioning are just too good. "Joe's system is something that every coach, trainer, or even parent, can use to raise the level of every player they coach or train. This program is proven and player development is highly overlooked in basketball today." "I have been coaching basketball for 15 years and have run tons of drills and planned many practices. The Impact Program showed me how to successful combine the strength and conditioning training, nodd Wilson, Heritage Christian High Schoolutrition, and overall yearly planning with what I am already doing. Even things like the dynamic warm up and mini-band workouts were incredible additions to our program. The program changed the way we look at a lot of things and we have been very successful with those changes." "We have implemented many of the aspects of the Impact Development Program into our yearly training routine. It is proven and has been a big part of our success." "The Impact Certification allowed me to implement a full development system into our program that has been very effective. Our players' attention to detail in all areas has been enhanced significantly and, as a result, we are winning more games and much sharper in all we do. I was amazed at just how complete and well planned the program is." "Before I invested in Joe's course, I worked on offensive and defensive schemes like when I played in high school, and our conditioning was the same laps and suicides we ran, but thanks to his insight, we now spend almost all our time improving the individual skills and get in shape "from the court backwards". Our teams improved the most in our league over the last seasons, and have won without any formal plays. Just players making lots of plays they couldn't just a few short months earlier." Invest in yourself, your son or daughter, your program and your team. Do nothing and miss out an opportunity to improve your skills as a Coach, Trainer or Player, and take your game, program and career to an elite level. THERE IS NOT TIME LEFT ON THE CLOCK, NO TIME OUTS - WHAT'S THE PLAY? HAVE QUESTIONS OR JUST WANT TO TALK TO A LIVE PERSON? No problem. Reach out to us at info@impactbball.com or (747) 242-1188 right now.